As I walked to the parking lot, after Church, I witnessed a tender moment of a father lifting his daughter out of her stroller to place her in their car. Her pink sparkly chiffon skirt fluffed like cotton candy as her dad lifted her above his head. I heard him speak soft words to her. My heart sank like a bottomless pit. My thoughts quickly turned to the dads and moms—of the twenty Sandy Hook Elementary school children shot to death last week, the parents who routinely did the same . . . lugging, lifting, tickling, talking, and securing them in their booster seats for safety. My soul felt heavier then a 2-ton rock. It’s difficult to think that in this life, a split second can change one’s world forever. I thought how easy it is to take for granted our mundane tasks with our children or grandchildren. How simple things like wiping noses and bottoms, kissing boo-boos, and securing them in car seats are part of every day life, which we do automatically. These parents of Newtown, Connecticut have lost these future moments—the routine ones and those, which easily irritate a parent. And I would believe the longing to be irritated, interrupted, or frustrated just one more time, will be a wish and a longing for days, months, and years to come. Death should not embark upon the Christmas holiday. But death and evil are a part of this world and is no respecter of person, age, or time. Sorrow has splatter rudely upon the celebration of Christmas for these families, and even our Nation. Yet I find, for these twenty children, the gift of Christmas now belongs to them in a real way—even in the horror of their plight. Jesus said concerning children,"Let the little children come to me, and do not hinder them, for the kingdom of God belongs to such as these,” (Luke 18:16; NIV; bold mine). Bullets pierced their bodies and though their life blood poured from them, their eternal spirit lifted up and joined a heavenly host—for the Kingdom of God belongs to “such as these.” In this there is comfort and hope for future days. Christmas brings the remembrance of God coming to earth in the form of Christ to bring salvation to an evil and perverted world. Christmas deposits hope into despair. For even though death seems to have won, it has not. Christmas is the reminder that in each believer dwells the richness of Christ—who is the Hope of Glory. 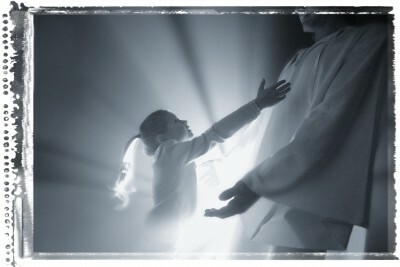 These innocent children entered into His glory and are submerged in the love of God. Even so, it does not erase the insurmountable heartache each family will feel when they anticipate their son or daughter bouncing through the door, or even worse when they routinely prepare their children for bed but remember one bed is empty. Realizing that the words, tell me one more story . . . please . . . And I won’t ask again . . . is gone. Jesus preached on a mountain side the famous beatitudes and among them is this line,“Blessed are those who mourn for they will be comforted,” (Matthew 5:4; NIV). Christmas is decorated with the bonds of God's unconditional love—love that came down into a world of sorrow and depravity. Love shines the light of Christ into our darkest of nights. We can take consolation in knowing our Savior has come to redeem what the wicked have planned against the innocent and His righteous one’s, His children. This Christmas season, we pray for all those who have lost loved one’s by natural causes or by tragedy. May they find rest for their weary hearts as you are their hope. Be their rock and salvation. We also ask that you will be their shelter and fortress during these painful days. We pray they will take refuge in you for only you can comfort the deep ache of their heart. May each find comfort and peace, in the days ahead, by knowing a Savior has come and even now longs to gather and heal their broken hearts. Lord, there is nothing merry about losing a loved one, at anytime of the year, no matter how the death occurred. Even you wept when Lazarus died. We pray that all these sorrowful tears, which have soaked pillows in the night, be caught in jars, which you—in the days to come, will return to them as tears of joy. For there is a time to mourn and a time to rejoice. Wrap your arms around each person and hold them tight for us. Amen and amen, dear friend.